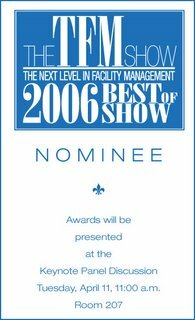 Those attending the TFM Show next week will see a variety of interesting products and services for facilities. Among these exhibits are 41 Best of Show entries, which will be highlighted with signage (see picture). 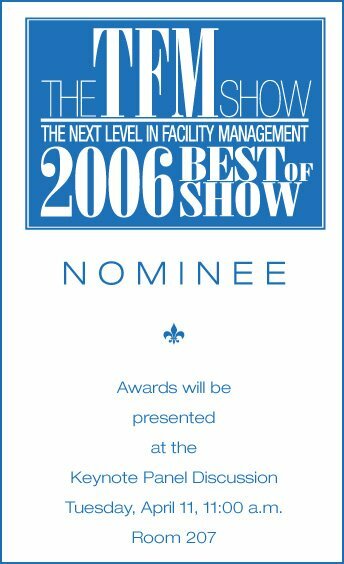 These entries span seven categories (Building Envelope; Energy & Lighting; Environment; Interiors; Safety; Security; and Technology & Engineering) and will be judged by a group of facility professionals who are attending the show.